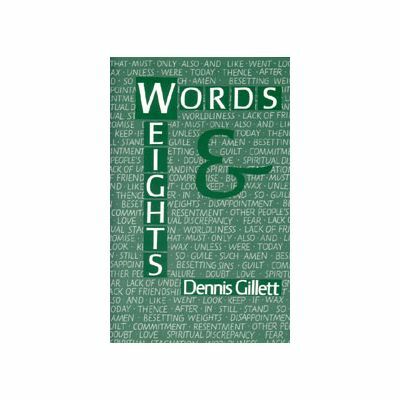 Author: Dennis Gillett, paper back, 90 pages. Published by The Christadelphian (CMPA) in 1994. This book is drawn from two different series of articles: one 16 articles published in the exhortation section of The Testimony in 1990 and 1991 with the title "Lay aside every weight, and the sin.....", and the other 24 articles in The Christadelphian from 1991 to 1993 entitled "Little Words, Big Meanings". The series from The Testimony highlights various aspects of life that can hold us back and drag us down in our walk to the Kingdom; things like Disappointment, Guilt, Resentment, Doubt, Fear Compromise and Loneliness. The book includes a 3 page scripture index.